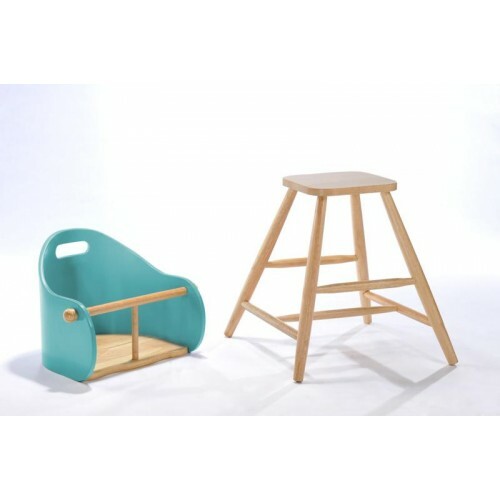 A strong and sturdy stool designed let children sit in comfort environment. The solid construction of this stool makes it durable. Back rest of chair with holes designed to facilitate the child's own chair lift and push , it easily be handled by child. To add to its safety, it has an angled back that prevents fall down from chair. It needs to be cleaned regularly using a damp cloth.